Welcome back to Your Tarot Card Reading! This week's edition will be a tribute to this past IG month of February with a special love tarot reading. Happy Valentine’s Day! Hope you are all spending these past few days with that special someone. In honor of this occasion, this week’s tarot reading will specifically be about love so instead of the usual self position, it would be love & me. 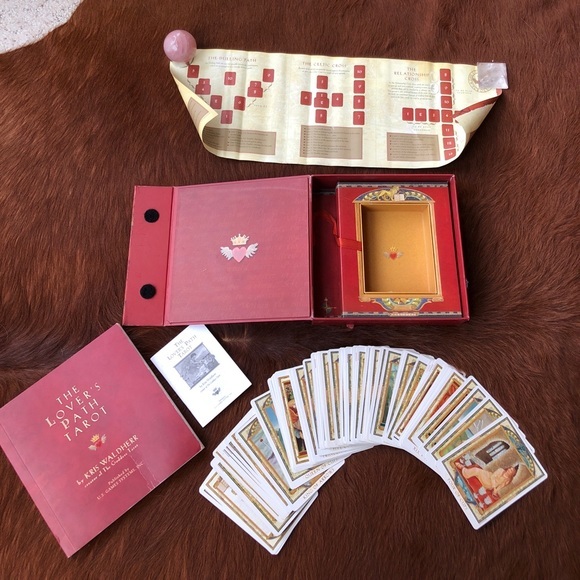 To make the atmosphere more romantic, I will also be using the Lovers’ Path deck that exhibits many familiar scenes from perhaps one of your favorite love stories. 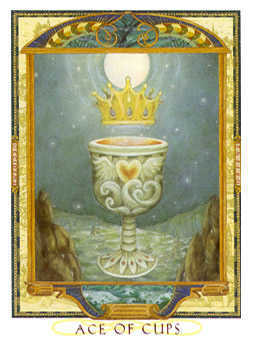 The Ace of Cups symbolizes abundance, nurture, and support. You may be experiencing emotional security and comfort whether if it through self-love, romantic love, or even a love for the world. Everything seems to be right with the world and this abundance of comfort and optimism powers your life. This may mean that the relationship with your significant other is at its peak. Or if you are not in a relationship (which is totally ok :) ), this abundance and nurture is a perfect stepping stone for a future relationship. Go get ‘em! 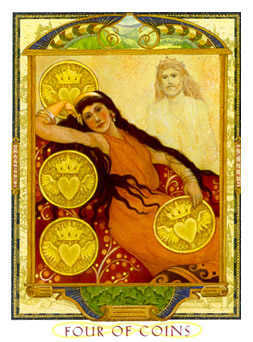 The Four Coins suggests that both you and your partner, whether current or in the future, possess great power or resource but lack the maturity or experience to manage these newfound assets. With power comes responsibility and the possibility of being led down an egotistic or miserable life that could potentially strain your relationship. This may mean you or your significant other have been recently promoted into a job or perhaps one of you have found yourself with a lot of spare Galleons. Make sure not to let this new change hinder your relationship through communication and understanding. 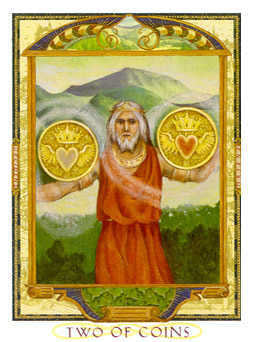 The Two of Coins represents that your challenge is the unknown. You don’t know what to expect after this nurturing period is over. Plan ahead and make sure to stay calm and avoid additional conflict during this period of peace. Sometimes things aren’t what they seem. Stay flexible so that if conflict does strike you are prepared. The Ten of Coins symbolizes an inheritance that makes you an important person in your community whether it be within your family or within the school. This may be a physical inheritance of wealth or an inherent one of knowledge or influence. 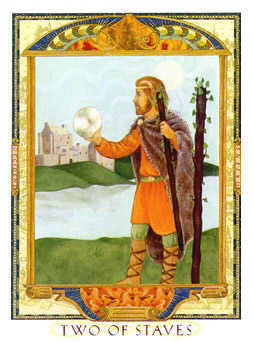 Like all power, there is always responsibility and according to the Ten of Coins, this responsibility could affect your relationship. Even if you are not in a relationship, your actions may affect your chances of a future relationship between loved ones. Keep a cool head and met the responsibilities called for by your new inheritance. The Hanged Man, a member of the Major Arcana, shows a conflict that I’m sure everyone in a relationship would understand. You and your love interest are stuck in a situation where one of you has to admit to a mistake and apologize. 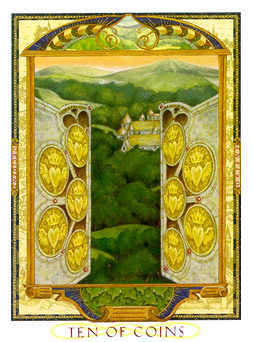 The Hanged Man represents the lesson being learned from attempting to take advantage of each other. If left unchecked, your relationship will become strained and tense causing pain to both of you. Be able to be the one to say that you were wrong or try to make amends by letting go of the past. Relationships are hard and there will be ups and downs. If you succeed, you will receive experience for similar conflicts in the future. 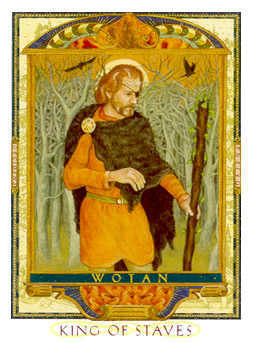 The King of Wands represents the fine line between respectable leadership and irritating bossiness. In terms of relationships, it is the fine line between being the adoring protector or the control freak. With management and control, your relationship can be vastly improved. Learn to handle your leadership in the relationship instead of trying to push your partner into submission. You might be surprised by the results. 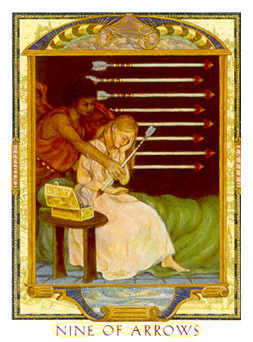 The Two of Wands indicates that you need to stop and reassess your romantic situation. Everything that you have done so far whether it be during your relationship or trying to create a relationship hasn’t seemed to be working and you may be feeling very upset and confused. Take a breather and work out the situation. Go through potential flexible solutions until this period of confusion or insecurity has passed with your love interest or partner. Be patient and the right path will be revealed. Oh no. 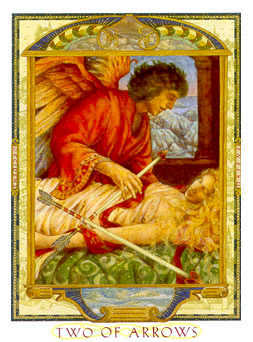 The Nine of Swords predicts a tragic loss in the near future. This may not mean a tragic blow to you individually but has the potential to damage or end your relationship. The situation will seem difficult and painful with no hope in sight. Don’t succumb to this feeling of hopelessness. Be optimistic. Comfort your loved one when they need it. If worse comes to worse and you find yourself mourning over a breakup, don’t worry. Things often resolve themselves whenever you least expect it. The World presents the challenge of maintaining the opposite dynamics in a relationship. This could mean parts of both of your personalities, differences in knowledge, or differences in reactions. 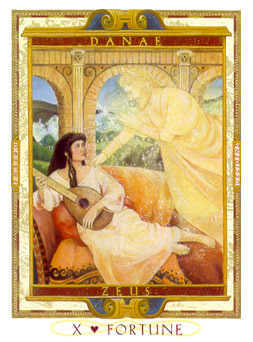 The person you care about the most is at the center of your world and requires balance to maintain this relationship. How to respond in this balance will determine the strength of the relationship. 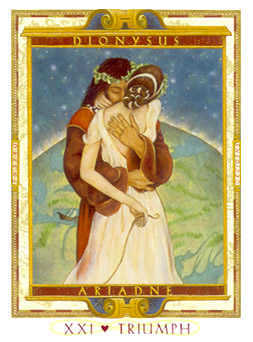 The Two of Swords represent conflicting decisions between you and your partner or love interest. The duality of the number two emphasizes the conflict and how there just doesn’t seem to be an obvious route to take. Every part of you seems to be in conflict; one part of you believes in going forward while the other part wants to take a step back. Resist trying to judge the situation in precise terms. Be flexible and creative with your decision but make sure it comes from the heart. 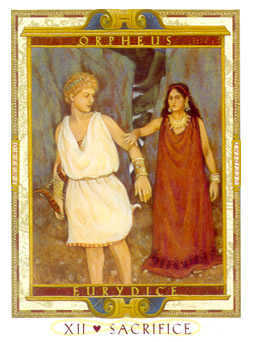 The Wheel of Fortune represents a changing force influencing your relationship. That many month plan of winning their heart or a force outside of your control is changing your circumstances. Things are uncertain and constantly fluctuating between good and bad. Perhaps one of you feels overwhelmed or a third wheel is stretching the limits of your relationship. Be patient and go with the flow. The situation will eventually resolve itself. 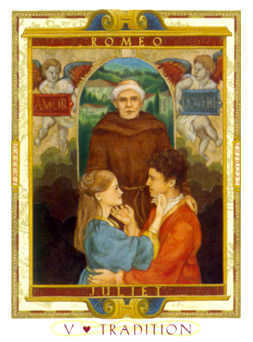 The Hierophant displays someone who was once deemed strange becoming respected and recognized. Those unusual parts in your relationship may at times seemed like setbacks but now there is a chance to use these qualities to open up new territory in this relationship. Perhaps the kinks you’ve been experiencing has only made the bond stronger. Maybe that conflict you’ve been having the past few days has opened up a better sense for your partner. Either way, with patience and discipline your current or coming relationship will become stronger. Thank you for reading this edition of Your Tarot Reading. Make sure to come back in two weeks for the next edition! Happy Valentine's Day! Ellie Tsao Yikes. Hufflepuffs have some bad luck. And I not sure how I can reassess my nonexistent love life.... :) Great job to the author! Caitríona Hayes This is so interesting, and perfect for Valentine's day!